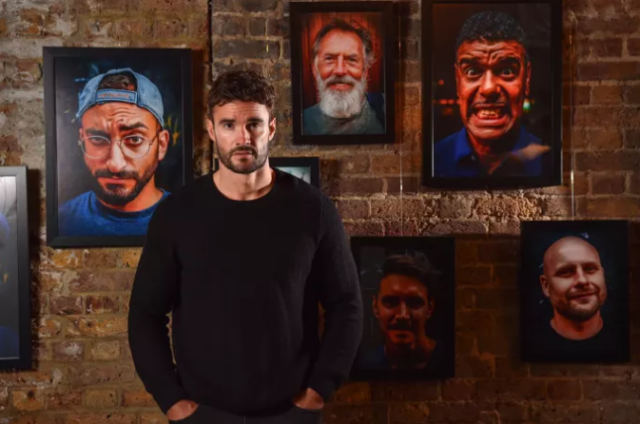 Former rugby player and model, Thom Evans, was part of a live installation at the launch of the Tash Modern, Shoreditch, the UK’s first live facial hair gallery. Taking place in one of London’s hairiest hang-outs, Shoreditch, the Tash Modernhas opened its doors for visitors to explore facial hair in a way like no other. From bearded, moustached and stubbled portraits of the nation to immersive installations, complimentary barbers and even human art (yes, those are real life bushy heads on plinths). The Tash Modern offers a fun and fuzzy experience like no other, something modern day men are particularly interested in, according to research by Panasonic Grooming.